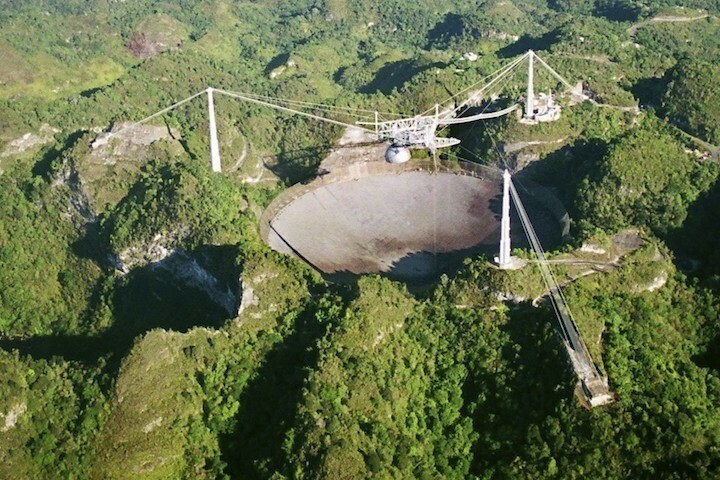 The scientists who work at Arecibo face their own personal recoveries. USRA saidthis week that it had shipped from Maryland to Puerto Rico 20 portable generators and donated them to USRA employees who badly need electricity in their homes. Several employees who hunkered down at Arecibo during the hurricane, tweetingvarious updates—from the state of the observatory to the kinds of snacks they’d brought with them—continue to share news on social media. Their messages highlight the incredibly slow pace of recovery. “And, lo! Our water supply was restored!” Robert Minchin, head of radio astronomy at Arecibo, tweetedWednesday, seven weeks after the hurricane arrived. “This morning I have water, power, and broadband at home!” he wrote a day later.